Unfortunately, the summer is officially over. But when it comes to acai bowls, I have to admit that old habits die hard. Luckily, the weather in Los Angeles still asks for a cool ice-cream-like desert or… breakfast. That’s right, breakfast! According to majority of nutritionists, acai berries, the main ingredient of the acai bowls, are powerful superfoods that support immune system, boost energy, facilitate sleep and fight dreadful aging and inflammatory processes. Not bad at all! This tropical fruit is not just another healthy food trend. It has been the staple diet of Brazilian population for centuries. Even today in many Amazonian villages, the acais make up almost half of the daily caloric intake. There are many different ways to prepare acai berries such as exotic hot chocolates, energy-packed drinks, cocktails and acai jams made with figs, ginger, chocolate, honey and vanilla. Surprisingly, the original recipe is actually savory and contains shrimp or dried fish, tapioca and guarana. People in the northern regions of Brazil still prefer this dish over countless sweet variations. 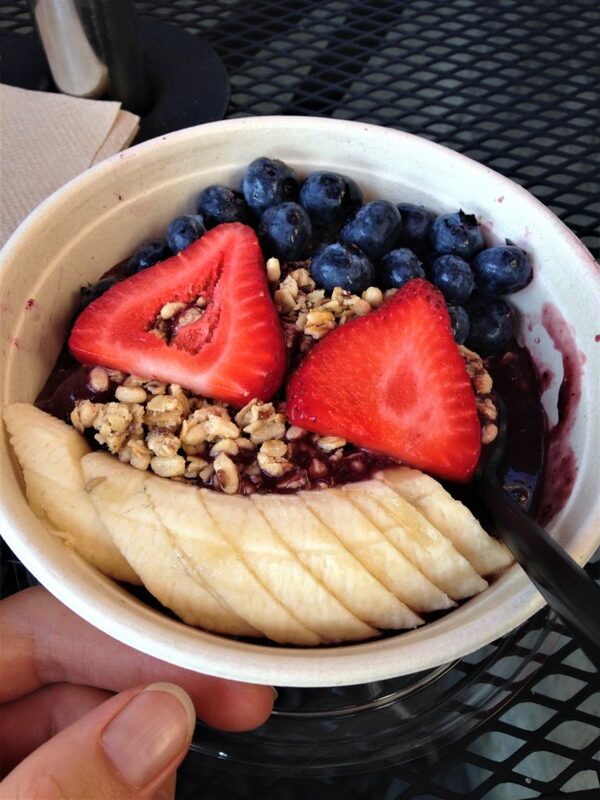 My favorite at the moment, however, are the acai bowls served with fruits, granola, honey and other tasty toppings. I was indulging in these super delicious and nutritious bowls all summer long, and I’m definitely not slowing down yet. Here are my favorite places in Los Angeles to get these yummy treats and satisfy your sweet tooth without any guilt. SunLife Organics was started by a former Skid Row drug addict who became obsessed with health and opened a few stores in LA with a mission to love, heal and inspire. We stumbled upon Pasadena’s SunLife Organics by accident and were glad to find out that all ingredients used there are 100% certified organic, wildcrafted, pesticide and gluten free. The store is popular with its organic juices, smoothies, shakes and different kinds of bowls. We opted for Hawaiian Bowls. Made out of acai sorbet topped with banana, granola, strawberries and coconut shreds, these simple bowls are absolutely delicious. Give them a try, and without any doubt they will quickly become your favorite. Staying true to their philosophy “Let food be thy medicine and medicine be thy food”, Greek cousins, Voula and Efthemios Tsiboukas, opened Rock’n Juice that became a success among health conscious residents of Los Angeles. With a main focus on juices, smoothies, shots, cleanses and acai bowls, this place is a true heaven of health. 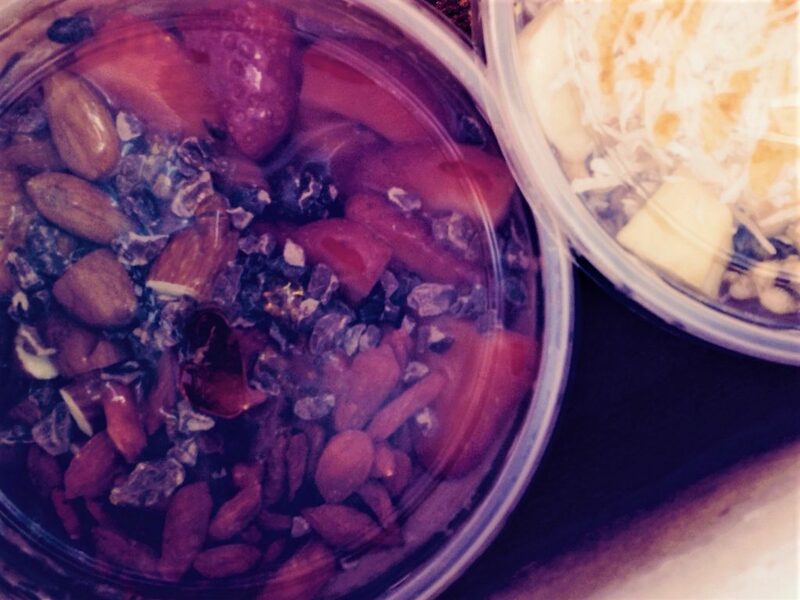 Rock’n Juice will amaze you with their variety of acai bowls’ blends and toppings from the classic versions of acai, granola, banana and honey to quite interesting combinations of fruits and greens. The complete list of ingredients of the acai bowls can be find on www.rocknjuice.com. Are you craving something simple and classical? Stop by at Robeks Fresh Juices & Smoothies and get their Acai Especial. Simple blend of acai, blueberries and banana topped with fresh banana, strawberries, blueberries and granola is like a combination of black and white. You can never go wrong with it. 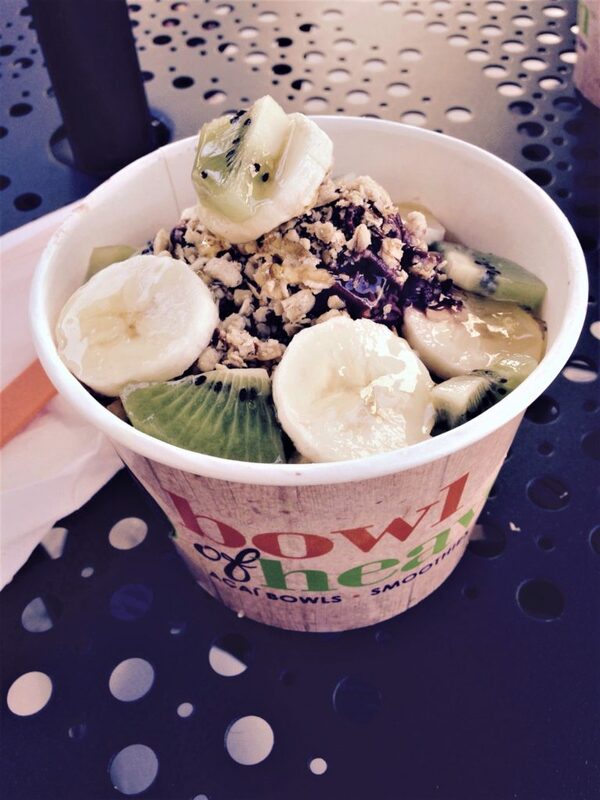 When you say “Bowl of Heaven”, most likely the first thing that comes to your mind is a yummy acai bowl. You are not alone! 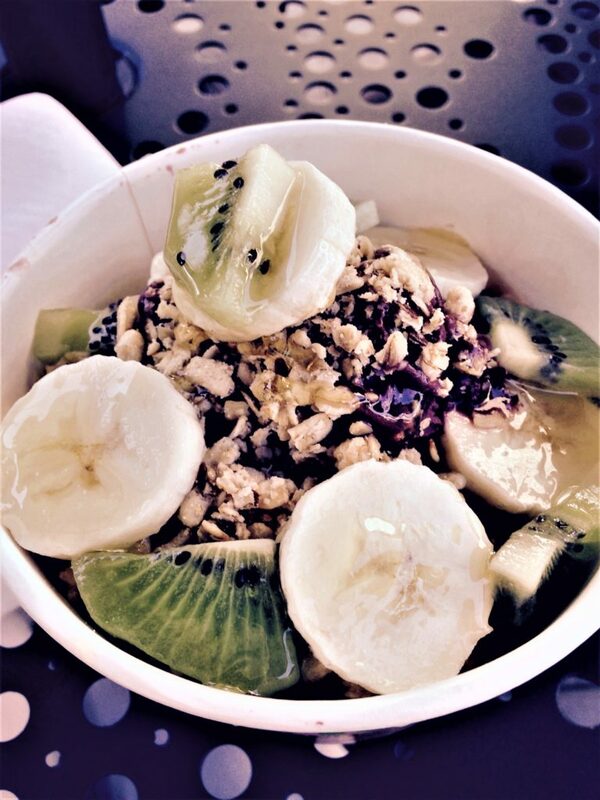 The wonderful acais are that powerful force that attracts people to a small yet cute superfood stop in Westlake Village called Bowl of Heaven. The café’s guests can choose from a variety of super-fruit blends and any number of add-ons such as fresh fruits, nuts and granola to create their perfect bowls. I personally can’t get over Brazilian Bowl. Acai sorbet topped with hemp and flax seeds, granola, kiwis, banana and honey is out of this word. Do you want to get a piece of Brazil? Then go straight to RioZonas Acai in Studio City. Upbeat music, artwork in Brazilian motive and of course Brazil-native super healthy acais… Wouldn’t you feel like you are somewhere in Rio de Janeiro? Before going to RioZonas Acai, I read dozens of reviews. 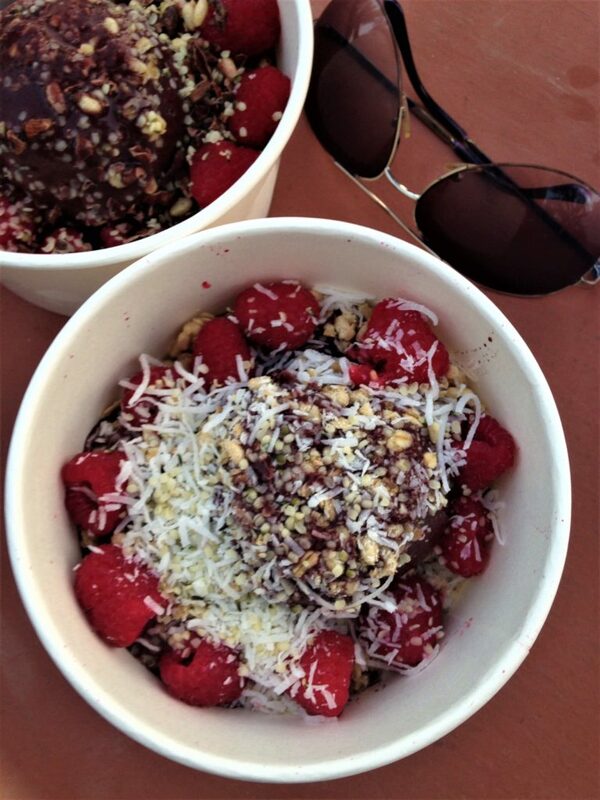 Many people rank it number one for the distinguishing taste of their acai bowls, which is very similar to the acais served in Brazil. I am not sure about number one, but I am definitely including it in top five places in Los Angeles. When you decide to stop by at RioZonas Acai, take my advice and to build your own acai bowl using the ingredients that speak to your heart. Oh, well… tongue in this case. And don’t forget to add dark chocolate and almond butter for a creamy consistency with a bit of crunchiness. With increasing number of cafes and restaurants switching to healthier options and new health-oriented places opening every year, this list can go on and on. As of this moment I wouldn’t venture beyond these five spots, as they are incredible at serving you the best acai bowls in Los Angeles. 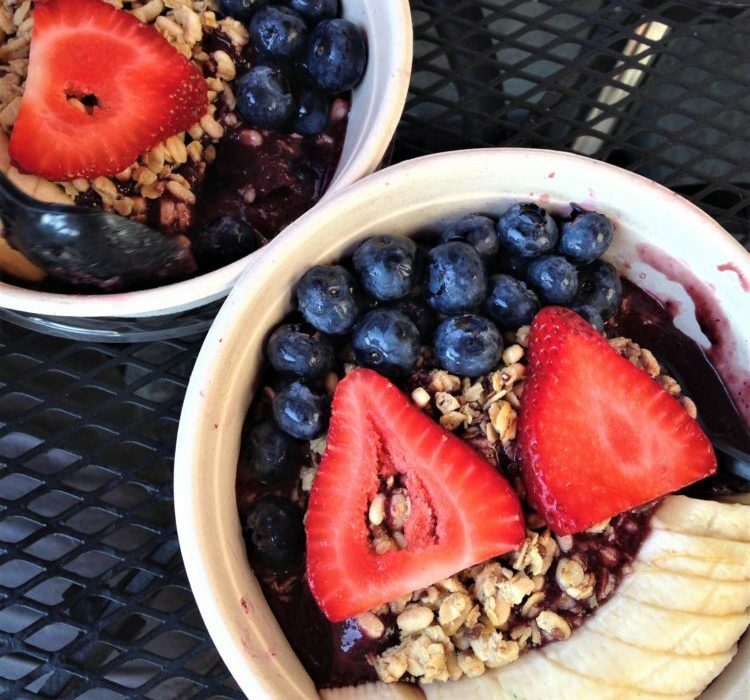 What are your favorite places to get the acai bowls? Share your experience in the comment’s section below. We would like to hear from you. 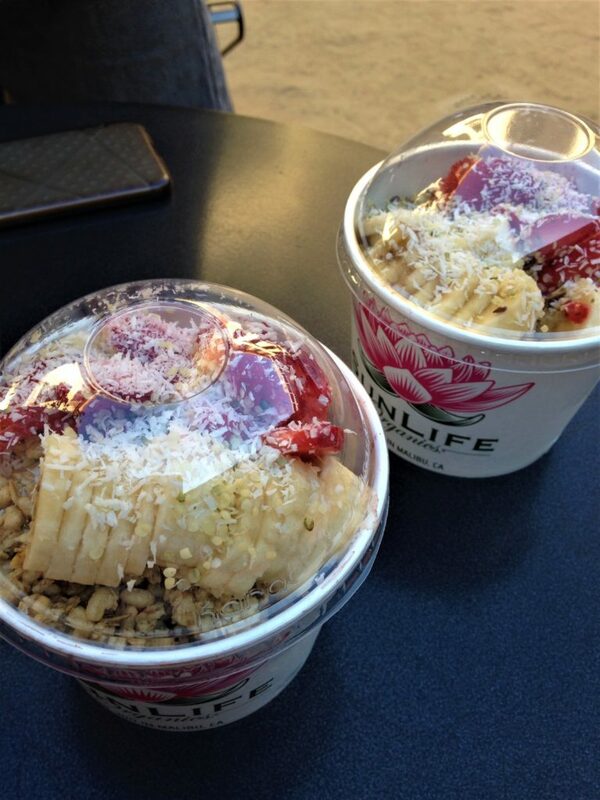 So we definitely thought Acai bowls were all hype. And then… we actually tried them. HOLY YUM. I think we could eat these every day if it was financially feasible haha. All of those places look insane, you’re so lucky that you have so many options! We have maybe 1 or 2 here in Boulder. Bring us some more!! 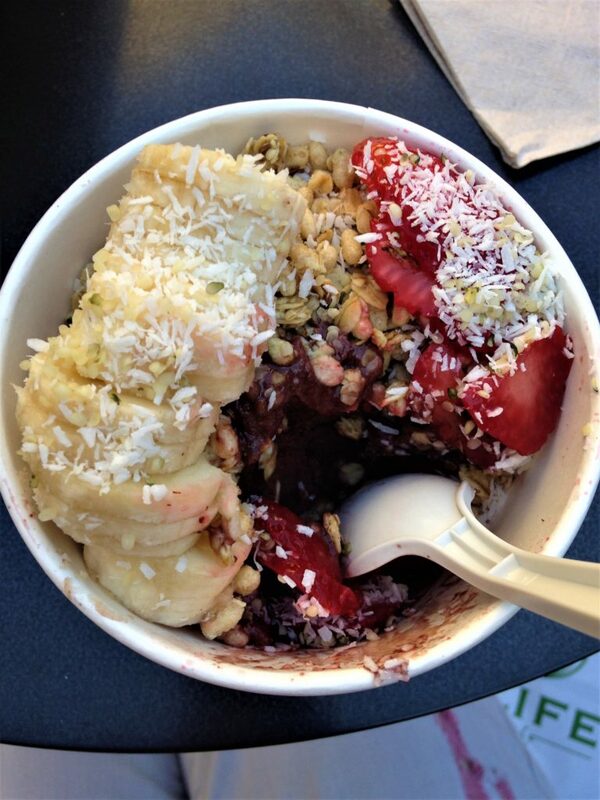 I love Acai bowls too and I know the cafes who serve good ones around Sydney. I was looking for it when I was in LA but we were only in the downtown area so I haven’t seen one. Nice and yummy shots dear! Oh, so sorry. I am surprised you did not find any acai places in downtown. LA is definitely not short on them.